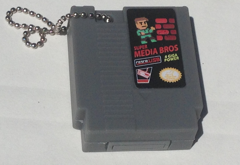 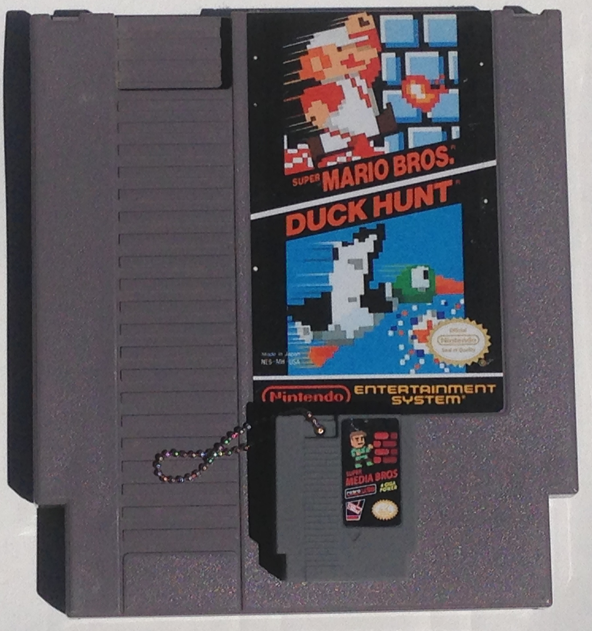 The average NES cart is 400KB, but this tiny cart can hold 4000000KB! 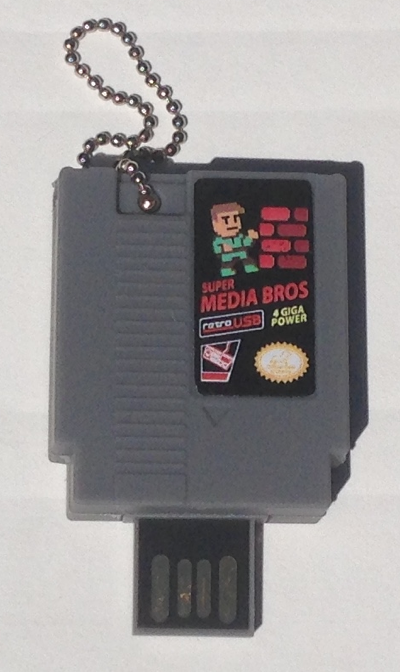 Super Media Bros 4GB is a standard USB flash drive with retractable USB plug. 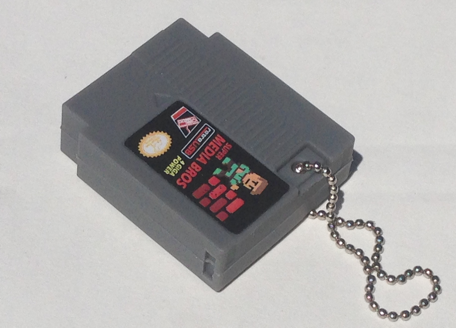 This scale model is around the size of three DS carts stacked, and comes with removable keychain loop.